We've just been hit with a 168-page court subpoena from Monsanto. We have only days to respond, and it "commands" us to hand over every private email, note, or record we have regarding Monsanto, including the names and email addresses of Avaazers who have signed Monsanto campaigns!! This is big. They're a $50 billion mega-corporation, infamous for legal strong-arm tactics like this. They have unlimited resources. If they get their hands on all our private information, there's no telling what they'll use it for. So we're going to fight this. Because Monsanto may have unlimited resources to intimidate, but Avaaz has unlimited people power, and our members just aren't afraid. We urgently need to hire outstanding lawyers to go up against Monsanto's best. Just fighting this subpoena will be costly, and it could be just the beginning. 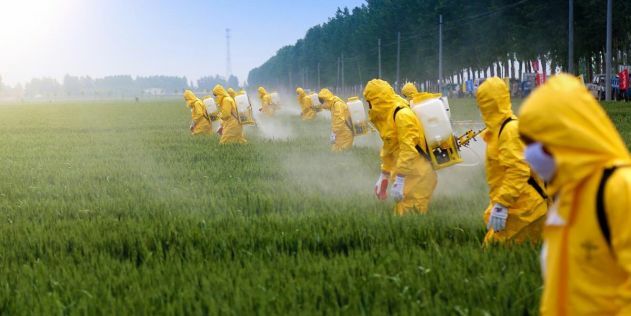 We don't know Monsanto's plan, but we know one reason why this is coming -- Avaaz has repeatedly beaten Monsanto in huge regulatory battles, including blocking the long-term relicensing of glyphosate, the herbicide that is the cornerstone of their chemical empire. We're winning. So they're changing the game.